What's the difference between 1Password for Families and Teams? I was quick setting up 1Password for Teams when it was released, so I could share passwords and such with my wife. Then you release 1Password for Families and I'm left wondering what the difference between the two is. Is there a difference in more than just the name? Thanks for writing in. That's a great question. Both 1Password for Teams and 1Password Families is based on the same technology, so we'll often refer to 1Password for Teams to mean both. The biggest difference is price, Families is $5/mo for 5 people, whereas Teams is going to start at $5/mo per user. There are differences with the accounts as well so that the price difference makes sense: Families has 1GB of document storage whereas Teams has 10GB. Teams has more fine grained permissions (something companies would need, but families don't much care about), and Teams has a more advanced admin console in general. Over time Teams will grow more complex/feature-full in order to support the needs of teams/businesses. There aren't many families that are looking for LDAP integration, for example. Thanks for the clarifying explanation. Since I've already created a team for my family, is it possible to have it converted to 1Password for Families? @asbjornu: It is! I think it was just a few days ago that we implemented this. 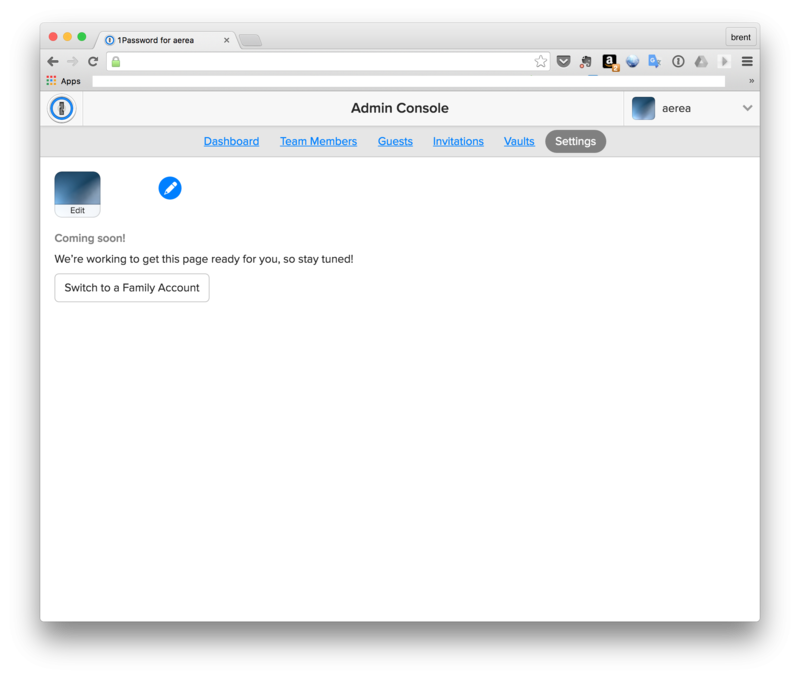 Just login to the 1Password for Teams website, and then in the Admin Settings you can switch from a Team to a Family. Cheers! Well that's cool. I didn't know that we had made that feature available to everyone already. Learn something new every day.